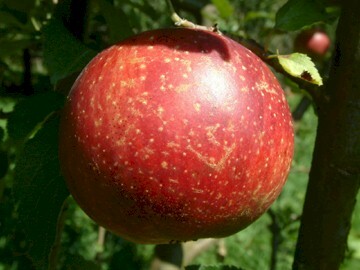 An old Georgia apple originating before the Civil War and once sold by the Forest Nursery of Fairview, Kentucky. Other details of its history are unknown. The apple is medium-sized with yellowish-orange skin with stripes and splashes of red. The coarse yellow flesh is tender, juicy and flavorful. Ripens August to September.